What a gorgeous day it was! The sun was shining, the sky was blue, the grass was deep green, and spring flowers are everywhere to be seen. Not to mention it was in the 70s today. I didn’t sleep well last night—I don’t know if I was too hot or if I drank the Starbucks Refresher a little too late in the day and the caffeine kept me awake. I woke up at 6:45 and I was tired and fell back asleep at about 7:15. The next thing I knew, I heard baby making noises in her room and it was 9:15! That never happens—I can’t believe she slept that long either, but she did refuse an afternoon nap yesterday. I had a delicious egg sandwich and a side of fruit for breakfast. Yum, yum, yum. This is how baby girl’s breakfast went. Yep, she thinks it’s the best thing ever to throw her food on the floor. We try to tell her no and she just thinks it’s funny and keeps doing it. Oh boy! I have been afraid to feed her a lot of foods because of random things I have read here and there. I’m feeling a lot better about feeding her now that she’s about a year old. She hasn’t had peanut butter yet—so that will be a fun one to give her! I tried to feed her a clementine today, but you can see how that turned out. I just keep offering her the foods and letting her do her thing—eventually she’ll eat them! I did some laundry while baby girl tried to eat the toilet paper, get in the garbage can, access the toilet plunger, and try to touch the toilet bowl cleaning brush. Ew. Time to find new homes for those—mission accomplished. Baby had a little bit of play time but it didn’t take long until she was ready for her nap. The mornings go SO quickly! While she napped, I did my usual things—read my bible & prayed, checked up on blogging things, wrote an article, and did some preparing for lunch. I sipped on one of these and enjoyed it very much! We have to drink these up before Saturday! I haven’t had one for a long time. The smaller bottle (this one) is 5 PointsPlus which is about what I used for an iced coffee because I really like my coffee creamer—yep I’m back on it. I just can’t stop. I need flavored coffee creamer. Speaking of Starbucks, did you see they sell a Smores Frappuccino out now? I definitely want to try that but I haven’t taken a peek at the calories yet. Maybe I don’t want to. Since our schedule was way off, we had lunch at 2:00. I made a chicken burrito with leftovers for myself. I tried the new Yogurt 100 calorie Greek Whips! Strawberry Cheesecake flavor for dessert. Oh my goodness—this was SO good! Only 2 PointsPlus! And Ash informed me there is a cupcake flavor. Be still my heart. I can’t wait to try that. After lunch, we headed out for a walk for about 30 minutes. Whew—I was hot and sweaty by the time we got home. I swear, ever since I was pregnant I get SO hot all the time. I used to be cold all the time…I want that back! Maybe it’s all of my extra blubber. Baby girl refused her afternoon nap again which is understandable since it was a lot later than usual. And she was a mess. Throwing tantrums and everything. I used my “ignore the behavior tactic” and it seemed to work again. Goodness knows I do not want her to think acting like that will get her attention. Parent in training. Whew. I decided the best tactic would be going outside. We played in the grass and with her new big pink ball. I pushed her in the swing until she started “saying” all done. I set up her new Summer Infant Pop ‘n’ Play to give it a try and so hubby could watch her while he grilled and I could get everything ready for supper inside. Well played on my part because it worked fabulously and baby was happy—which is much better than a screaming baby pulling on your leg, hubby asking when supper is going to be done while supper burns on the stove. Does this sound familiar to anyone? Motherhood. I made the above picture extra large so you can see how blue her eyes are! She gets lots of compliments on those beauties. I thought for sure she would have brown eyes because hubby does. I have a bluish grayish color eyes—I’m not really sure what color they are, but blue eyes run on my side of the family. One of hubby’s relatives said “now where in the world did she ever get blues eyes?” They all have brown. ha. The highlight from supper was fresh asparagus from our garden. There wasn’t enough for all three of us, so I added broccoli and mushrooms. The broccoli was SO green. It was all delicious. I have been loving Skinny Cow ice cream treats. Tonight, I had a caramel truffle bar. Divine. I quickly cleaned up the kitchen and we headed out for a short walk as a family. I really needed more steps. It was only 20 minutes long, but it was nice, windy, and cool and it was perfect for me—the human furnace. I need about 600 more steps to meet my 10,000 step goal so I’ll be doing some walking in place tonight but I will definitely meet my goal! Two days in a row! 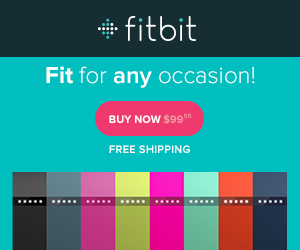 I’m loving my Fitbit and it certainly helps me be more active. There is still time to join the A Journey to Thin online book club! I also wanted to tell you that some days I will have a couple of posts per day, especially if I have a post like my zulily one today with sale information. I like to have mostly personal posts but I also want to have the ad kind here and there. On those days, you’ll probably see both posts—so be on the watch for both. So if you’re not an email subscriber or you don’t follow my blog via the feed, make sure to scroll down and check to make sure there isn’t another post for the day! Better yet, just subscribe and you’ll be good to go. I've been wanting to try that new Whipped Greek Yogurt, it looks so good!! We definitely are soul sisters with coffee and creamers :) Starbucks anything is good!! You gotta live sometimes!! Yum!! Baby girls looks like she loves her new play yard!! Your daughter is ABSOLUTELY ADORABLE!!!!! AWWWW!